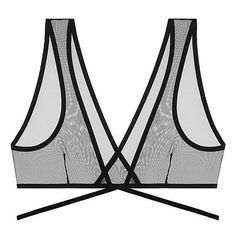 This soft and lightweight bralette pulls on over your head and has adjustable straps. It’s ideal for those days you want light comfort but a cute and colorful touch. This stretch lace bralette pulls on over your head and features a cute multicolor honeycomb print. The straps are adjustable. Pair this adorable bralette with the super comfy Honeycomb Boyshorts for a great set! For other colorful Hanky Panky options check out the Bars & Stripes Triangle bralette and Brazilian bikini!